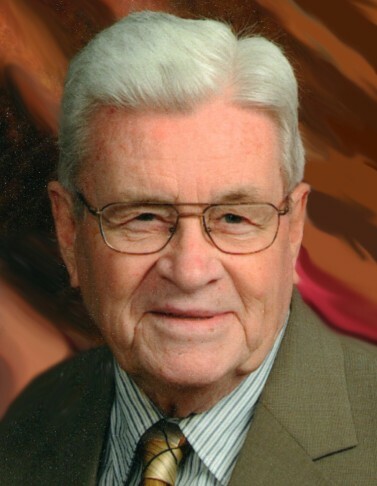 WADSWORTH, Ohio - Jasper “JD” Knifley, age 92, went home to be with the Lord on March 26, 2019. J.D. was born on May 11, 1925 in Knifley, KY and lived in Wadsworth for 74 years. He worked at Ohio Injector for 26 years and Strickland-Mason for 18 years before retiring in 1987. He was a member of First Christian Church of Wadsworth, since 1962. J.D. was preceded in death by his parents, Deroy Sampson and Mary Elizabeth (nee, White) Knifley; his first wife of 30 years, Eleanor Peg (nee Bowman); brother, Ewing; and seven half-brothers and sisters. He is survived by his wife, Helen (nee, Edwards) of 12 years; sister, Gertrude Feeder; step-son, Bill Robinson of FL; step-grandsons, Bart (Jessica) and Grant (Andrea-deceased) Robinson of VA; sister-in-law, Nannie of KY; step-great-granddaughters, Annabel and Emma; step-great-grandsons, Carter and Ethan. The family would like to extend a special thanks to the Barberton Hospital staff, Summa Hospice, Pastor Anthony and the Altercare Staff for their love and care of JD. J.D. requested a private service for his family, with interment at Woodlawn Cemetery in Wadsworth. No public gathering will be held. Should friend’s desire, memorial donations may be made in J.D.’s name to First Christian Church 116 E. Boyer St., Wadsworth, OH 44281.